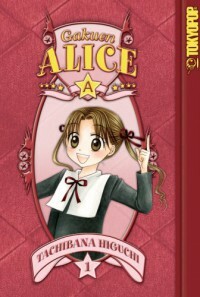 Gakuen Alice, Vol. 01 - Read. Travel. Learn. I absolutely loved this manga! I remember when I was in high school I couldn't help but to feel really giddy while watching this anime. I'm so disappointed that it took me so long to read this manga. Every single scene in this story was so funny, cute, and emotional. Gakuen Alice made me laugh and cry at the same time. I'll definitely missed the gang!